Studio Rooms are suitable for the Budget Conscious traveller. Available in Twin or King bed configuration. Maximum Occupancy is 2 per room. Large 73-101sqm self-contained 1 bedroom apartment Modern kitchen with stainless steel oven, cooktop and dishwasher. Includes washing machine and dryer. Open plan living dining with king sized bed. Relax around your choice of 4 pools. 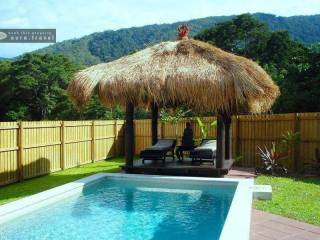 Large 73-101sqm self-contained couples retreat. Modern kitchen with stainless steel oven, cooktop and dishwasher. Includes washing machine and dryer. Open plan living dining with king sized bed. 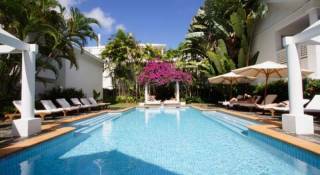 Relax around your choice of 4 pools. The room caters for a maximum of 2 adults, and a maximum of 1 child but cannot exceed 2 guests in total. The resort spreads over 2.5 acres of tropically landscaped gardens with meandering walkways surrounding 4 pools for your pleasure including a 50 metre Olympic sized lap pool and child friendly pool. Our extra spacious 1 and 2 bedroom apartments are fully self-contained and we also provide the option of studio/hotel room accommodation for guests. Other on-site resort features include a covered BBQ area, Continental Breakfast daily, sun lounges surrounding our 4 pools, on-site tour desk and Free Wi-Fi access is available to all guests throughout most of the Resort. 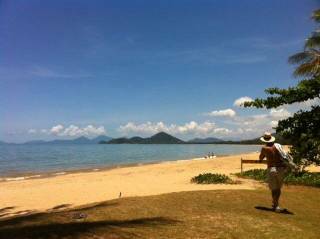 As a perfect gateway to the Great Barrier Reef and Rainforest. Mango Lagoon Resorts private, quiet location is your perfect place to stay and experience these natural wonders. Relax and stroll the award winning Palm Cove beach lapped by the Coral Sea or explore one of the many restaurants, salons, and boutique shops. Our friendly staff will be happy to tailor a tour package to suit your requirements and budget. Mango Lagoon Resort has a clear mission. 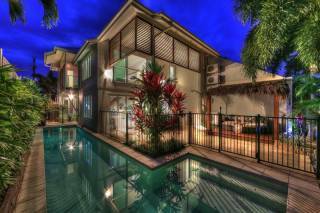 ‘We want to provide our guests with the best possible holiday experience in Palm Cove’. If the reservation is cancelled or modified within 7 days of arrival a 2 night cancellation fee will apply. If the reservation is cancelled or modified within 72 hours 100% of the tariff will be charged to a maximum of 10 days. We’ve got it all up here in North Queensland - diverse and breathtaking natural attractions above and below the waterline - the rainforest & the reef, a climate second to none and world-class man-made attractions and facilities. At Mango Lagoon you’re close to everything. 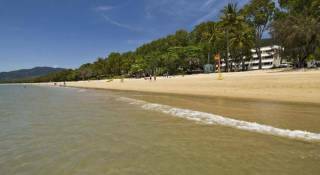 The beautiful sandy beach at Palm Cove and the fabulous Esplanade with restaurants and bars are just a stroll away, world class golf courses north and south. Renowned attractions such as Skyrail & Tjapukai are 10 minutes from Mango Lagoon Resort. Cairns International Airport is 20 minutes down the road and downtown Cairns City centre with shopping and daily Great Barrier Reef cruise departures. Buses leave directly outside the resort to Cairns city daily. 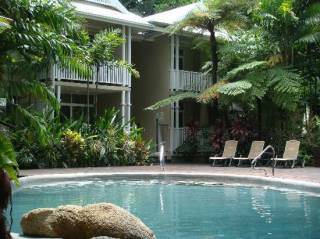 Head north along the stunning coast road for 40 minutes and you are in Port Douglas and close to the world famous World Heritage listed Daintree Rainforest, just over the hills, but not too far away is the magnificent Atherton Tablelands all this at your doorstep.